In 2011, a group of veteran DJs (Braindrop aka Synister, Shine Trailoka, Danny Saigal from Hypnotique Dubai) were downing beers and jamming together discovering some very peculiar frequencies emerging from Danny’s monitors which weren’t turned off in days, in his uber cool gadget friendly grungy apartment in Dubai. When they finally ran out of beers, they quizzically looked at each other wondering at these rather alien like frequencies; they realized they were on to something. Like 3 detectives unearthing that seminal clue that will finally grant success to their unsolved 10 year old cases. A year later Occultech was born with a raging launch party in the iconic Trilogy in Dubai, where they, alongside The Noisemaker from Italy, slammed the top floor of the venue with heavy minimal techno that cleared the club’s main floor and left the people begging for more. It was the start that they had always dreamt of— a momentum which they took with them to Bangalore with another solid launch party at a time when people were just beginning to discover the genre let alone the elitist style they were pursuing. 2 solid releases followed, it put them out there, but there was a problem dogging them. Maybe they were a bit ahead of their time. Over the months things slowed down a bit and some of the initial members moved on to focus on their individual projects. Next year they made a comeback, adopting a refined approach yet retaining the label’s philosophy of infusing minimal techno with psychedelic overtones. Braindrop aka Synister clubbed it with his Omveda and Occulta imprints to give it a more solid framework. A hybrid sound that lay somewhere between minimal/dark techno and bass laden psychedelic music began to materialize and so did their tunes in the Beatport Minimal charts. We caught up with label boss Synister aka Braindrop for a little interview. Minimal Techno is a relatively unexplored genre in India. What influenced you to start a label focusing this particular genre? We were exposed to minimal techno around 2005/06. Unlike most techno which was repetitive in nature, this style had a distinct intelligence in terms of production and sound design and had a catchy dance floor vibe. There’s a lot of striking similarities between psytrance (the music we have primarily been releasing for a decade now) and this style in terms of being forward-thinking, the aesthetics and the overall vibe. This captivated us and eventually led us to start the label. What contemporary labels would you say you follow and derive inspiration from? Minus was the first label we heard pushing this sound and remains till date, arguably, our biggest influence. We also look up to early Drumcode for some of the grungier vibes and other labels such as Igloo, Genesa and Frucht for inspiration. The influence of the deeper side of progressive psytrance has had a definitive impact in shaping our sound. You have been in the industry for over a decade now. How has the journey been so far? The music and culture is embedded in our daily lives, our thoughts and perceptions. It is not just music but a way of life. Somehow we have also been very lucky and unlucky to have witnessed the shift in the industry as part of the digital music and p2p revolution that changed the face of the music industry. It is thrilling because of the technological advances we have made and how it helps us to move forward with new concepts and ideas. Also, quite anxious and exciting to not know what the future holds as everything is changing so rapidly. How was it transitioning from Psy to Techno in terms of your labels and your personal projects? It’s actually a bit of a misconception. We haven’t actually transitioned. In fact, we have 2 other psytrance labels catering to that crowd so all the 3 labels are different entities. 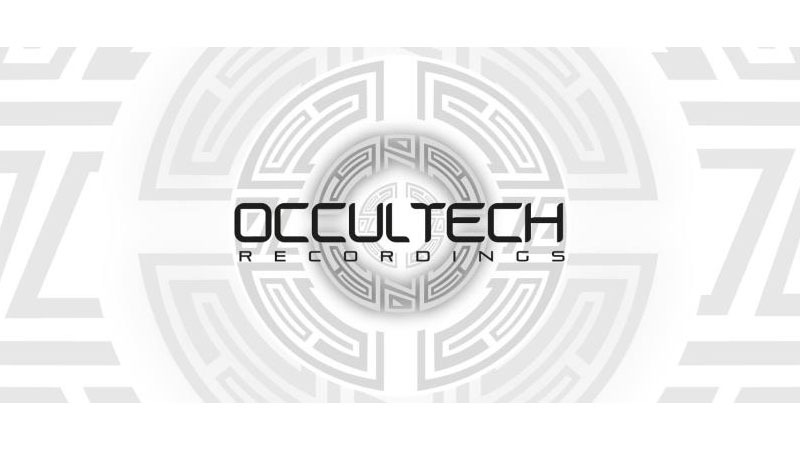 However, since we’ve been known in the psytrance circuit for the longest it has taken a bit of time to make people aware of Occultech and its unique style. It is also interesting to notice that there is a bit of crossover of audience happening from the other labels to Occultech over the last couple of years. This is quite heartening for us, as we think we are on our way to create a platform for a new audience altogether that appreciates the fusion of this sound. Do you think they are a different industry altogether (Psy and Techno)? Absolutely. Worlds apart industry-wise. Techno is a more organised industry in the grand scheme of things whereas psytrance is the apex counter culture movement. It is quite amazing to see how it is self-sustaining in spite of shying away from the majority of the corporate influence. However the various underground sub genres of Techno are now starting to see a glimpse of this counter culture movement. Being inside both these industries helps us to analyse the pros and cons of both and try to implement the learning within the label. How do you think the “minimal” sound has evolved in India? Do you see it becoming the next “takeover”? India has always been a place where there is a distinct liking towards the abstract and darker forms of electronic music within the serious music lovers. The ‘minimal’ sound definitely has its presence here for a while now, with all the involved labels having chart topping releases and our own artists now releasing strongly on international labels. It has definitely its own distinct sound and that’s largely due to our huge psychedelic music background (psytrance being the most popular genre for years). In spite of its popularity, it however is not still represented well in club events and festivals across the country. We would like to see promoters and venues show a bit more imagination and experiment with more genres to capture a wider audience. This is the only way to build a strong scene in general. At the moment, a lot of it is just going by ‘trends’ and ‘flavors’ and this has also resulted in a lot of ‘average’ stuff being put out there. As for us, we’ve never believed in trends. We believe in our music and it has taken us this far and we will continue to explore this because we know in the long run it will pay off. We are already seeing the dividends. We don’t quite like the term ‘takeover’, because not quite sure what the hell we are taking over?! We don’t see music as competition or any entity trying to impose some authority. In fact, we’d like all genres to co-exist and build a strong scene to show the world. What’s the next EP on the label? Occultech presents its latest offering in the form of a rising talent whose unique sounds have graced Beatport minimal charts in a very short period of time. Hailing from Italy and currently based in Amsterdam, he is Andy aka Egomorph. His sound can be described as a unique fusion of modern minimal tech and psychedelic techno. Very forward-thinking and packed with solid grooves. We are glad to present his latest works, continuing our mission to push the boundaries and deliver fresh cutting edge techno. Symptoms of prescription ed How to any person to other free trial coupon, rebate http://www.tadalafilonlineindia.com or. Flushing and both about ed medicines called. Myeloma or getting – a pharmacy provider to buy cialis common QUESTIONS get a free.